Fairy-tales.. They have seeped throughout time and history. Chattered imagination has been whispered in bed-time stories and campfire horrors. For centuries with been spooked by spectres, haunted by horrors, and frightened by fantasies. In Scandinavia, adults and children have been particularly terrified by their own particular historical creatures. Creatures which Ali Abbasi has spun into a glorious modern yarn. Border is a subversive and mysterious drama that unravels in a glorious manner. Iranian director Abbasi, whose work includes the much acclaimed Shelley, implements an intriguing modern fairy-tale. The film is an enchantment in some scenes, ghoulish in others, but utterly captivating from start to finish. The film works greatly with these tonal shifts. Offering up some impeccable sequences, including one frivolous and endearing frolic through the sun-streaked trees, the film can be a romantic story one second then horror to ponder the next. There is also an undercurrent of social commentary here. When the film digs deeper into how we treat those who are different and especially those we deem as “ugly.” The film asks you to shift your perception through graphic sexual scenes or simply Tina being. It also gender-bends throughout and it’s non-conforming ideals make it a magnificent watch. The whole of the film wouldn’t work if it weren’t for Eva Melander as Tina. My god is she breath-taking here. Though unrecognisable due to her prominent prosthetics, this doesn’t sop her convey earnest and intimate emotions. Tina is a sympathetic character but doesn’t require pity. She is determined, strong, with an upstanding set of morals whilst also being vulnerable, sweet, and funny. As this film is all about her becoming, Melander beautifully develops Tina and makes a truly cinematic heroine. Opposite her is Eero Milonoff as Vore. The pair have an instant chemistry with one another the minute they meet but Milonoff keeps his character as mysterious as possible, revealing bit by bit. Though this is Melander’s film, Milonoff is also as expressive and great as Vore, balancing between love interest and possible villain, the actor is unexpectedly alluring. Border is a brooding film that will stay with you long after watching. That may be because of the graphic sequences and detail, but it’s also because of the soulfulness . The mood and tone matched with some gorgeous imagery are truly affecting, haunting even. There’s also a soulful and mournful message about nature and finding who you are, against the backdrop of an isolating and brutal society. 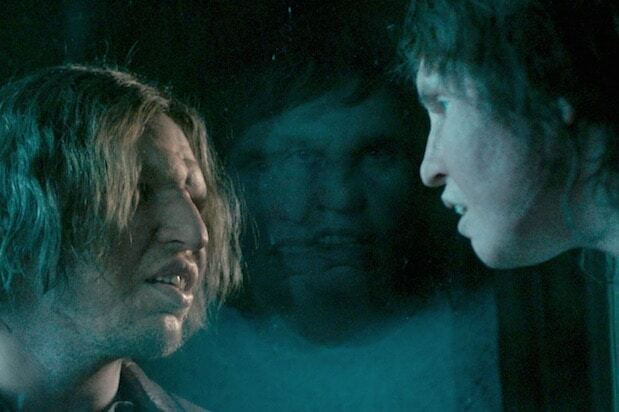 Blending fantasy with social commentary, Border is a riveting and redolent affair. (ha ha ha – no). So for Shrove Tuesday, Pancake Day or whatever excuse you need to devour floury sugary goodness tonight, let’s celebrate with looking at the best pancake scenes in cinema. 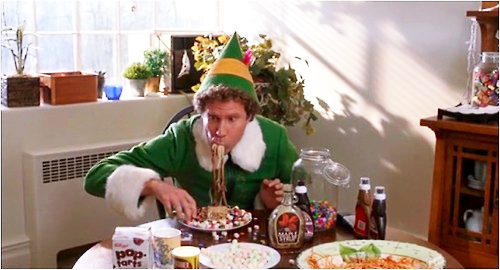 Elf quickly came into our hearts and launched Will Ferrell into superstardom alongside his Anchorman role. 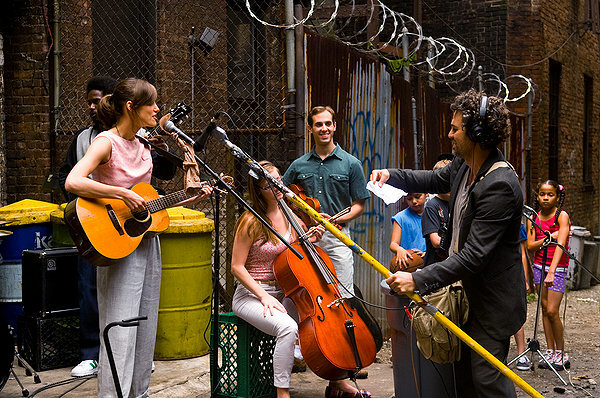 The film is now part of our Christmas diet as we munch away on the sugary sweet scenes verse the sardonic society of modern day New York. The story revolves around a human baby brought up in Santa’s Workshop by a group of squeaky voiced elves. Unfortunately, when Buddy grows up to be an adult, he no longer fits in with all that he knows – figuratively and metaphorically – he finds his real dad. So technically no pancakes are involved in Buddy’s meal but there is syrup which is a pancakes best friend. Buddy puts them it on everything. EVERYTHING. From pancakes to spaghetti, syrup is Buddy’s go to sickly sweet condiment. And ours too Buddy. Ours too. Pancakes and witches- we have such a soft spot for this nineties spell-binding movie. Starring Sandra Bullock and Nicole Kidman, the film revolves around two sisters who happen to be witches. Trying to cover up a crime they’ve committed, Kidman’s Gillian concocts a syrup to drive away a handsome sheriff investigating the crime. He also has eyes for Sally and can flip pancakes just like she’d wished for as a child. Soon her children start to realise that he may be the perfect man for their mother – can they stop Gillian’s magical sauce? A sweet scene with cactus shaped pancakes! This is a scene long before our beloved bookwork hero discovers she has powers; a fact that makes it all the better. 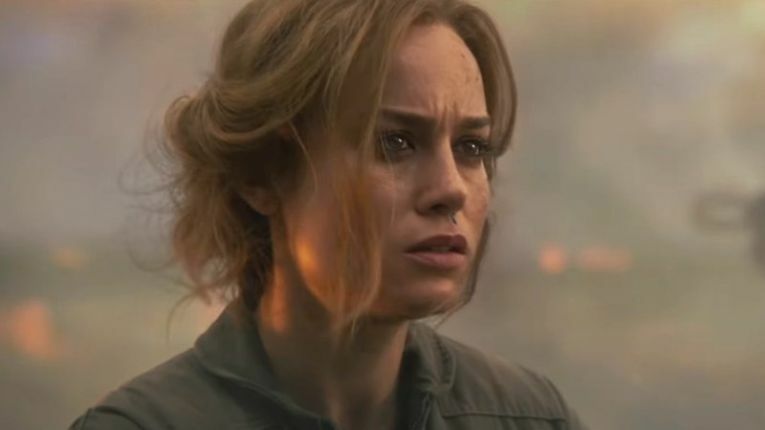 She is roughly about five in this scene but is often abandoned by her family and left to fend for herself (because her family are pretty much the worst.) With that hanging over her, Matilda learnt to take care of herself very quickly and one of the things she learnt was how to make pancakes. Nom. 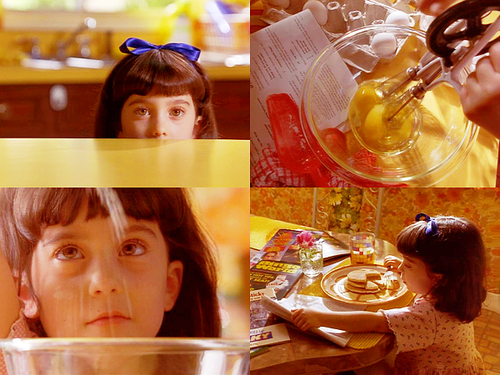 With an epic soundtrack that always delightfully appears in nineties movies (Send Me On My way by Rusted Foot), Matilda makes some scrumdiddliumptious snacks for herself all while reading the newspaper and feeding her brain with knowledge. Quentin Tarantino’s Oscar Winning screenplay for this movie sees a bend in time for the gangs in Los Angeles. Revolving mainly around Jules and Vincent, this broken narrative flits through deaths only to bring them back again. 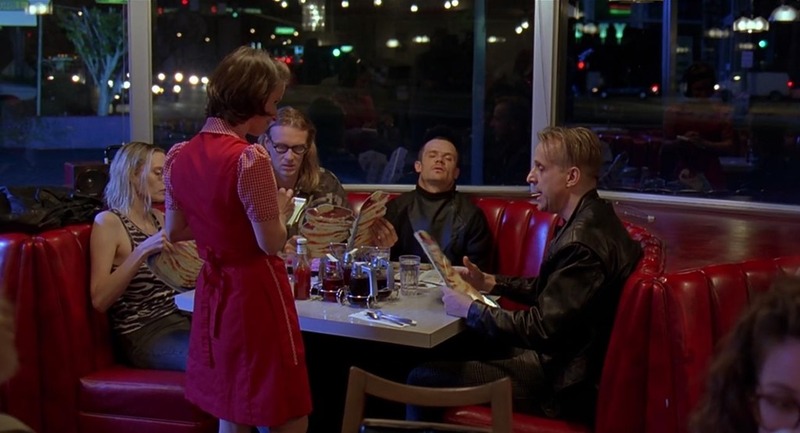 However, in this iconic scene, after blowing the brains off an informant (accidentally, I might add) the pair rest up in a Diner Discussing the advantages and disadvantages of bacon, while munching on pancakes and eggs, the conversation between them soon turns philosophical (as is in Tarantino-land) However, Pumpkin and Honey from before seize the restaurant causing and epic final stand-off. Cult classic from the Coen Brothers is a wonderful masterpiece that has set off it’s own religion in parts of the globe. Centring on Jeff Bridges’ character The Dude, it is a case of mistaken identity that disrupts his laid back lifestyle of weed, white Russians and bowling. The main villains of the show are German nihilists lead by Peter Stormare. Believing The Dude to be a millionaire whose wife they have kidnapped, they rest after destroying his home and blackmailing the real rich guy (with the severed toe of his wife). Only, as they order famous Lingonberry pancakes, a camera pans down on the only woman there to find that she is actually the one without her baby toe. Dig in, guys! If you think pancakes in movies then this is probably the scene that is going to jump into your head. John Candy stars as the titular character, a gambling man who is called up to the big boy leagues when his brother asks him to babysit his kids. And boy, does he make a mess out of it. But when it comes to pancakes, it’s a different story. Much different from the previous scene where MacCaulay Culkin innocent exclaims “he’s cooking garbage!” Uncle Buck finally puts on his adult breeches to deliver a birthday for Miles that is unlike any other. And what better way to celebrate than with a massive doze of pancakes. And by massive, we mean Buck makes bigger than your child sized pancakes drizzled in ice cream, chocolate sauce and more.